In March of 2012, Applied Global Technologies (AGT), the leading managed services and Unified Communications technology provider for interactive and mobile video conferencing solutions, announced a partnership with Compunetix. The partnership has allowed Compunetix to provide its EVERGREEN™ family of Multipoint Conferencing Units (MCUs) in conjunction with AGT’s mobile video conferencing technology. This June 13-15, at InfoComm, Compunetix and AGT will demo their powerful solutions together, alternating between AGT’s booth N2213 and Compunetix’s booth N2218. Demonstrations will begin with an introduction of the partnership and some of the products, including AGT’s EncoreB2B and FATHOM HD and Compunetix’s EVERGREEN™ MCU, among others. After introductions, AGT and Compunetix representatives will demonstrate the products and their features, using various devices such as an iPad®, laptops, and PCs. The latest product to come out of this partnership is Compunetix’s Video on the Fly mobile solution. This iOS collaboration app is available at no cost on Apple’s App store. Video on the Fly combines audio, video, and data streaming into one complete mobile solution. 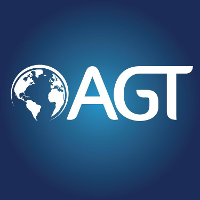 AGT’s Mobile Pathway Protocol allows the app to avoid firewall issues by using open and secure standard web ports to enable video communication between devices. Video on the Fly also includes extensive interoperability with iOS devices, Microsoft Lync, and both PC and Mac desktops. Video on the Fly provides users with high quality video conferencing, as it is powered by the Compunetix EVERGREEN™ family of MCUs. Though the mobile solution has been branded for Compunetix by AGT, Conferencing Service Providers (CSPs) can customize the interface to give their customers a personalized experience. Some features of Video on the Fly include the ability to watch a live stream of the meeting, schedule events or upcoming meetings, view recordings of the meetings, and remotely control the conference. Stop by both booths to check out the demos and find out more about what Compunetix and AGT have to offer on June 13-15! Read the official press release about the partnership between Compunetix and AGT here.